£. Thats how many there is ;-) Look at the right hand side. 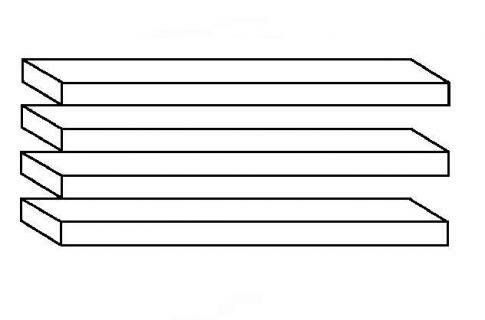 i think the right side is correct, they just added an extra rectangle on the left, then it gives us the illusion there is 4 when there really is 3. Hmm... I think there're THREE shelves. What!? i look at the first 2 and theres 3! there is exactly 2 shelves..... one on the botto one on the top. So it is not 3 or 4 or even 5. It is just 2 because the rest dont connect to eachother. Yupp, there are just two. On the bottom and on the top. 5 shelves: top, bottom, 2 in between on the left, 1 in between on the right. (cover the middle of the images vertically and you will see it easily). I see 3 on the right and 4 on the left., tricky ! I am going with 3 !